I made this adorable, 100% edible, whimsical woodland scene as a special project I did for Family Fun magazine. 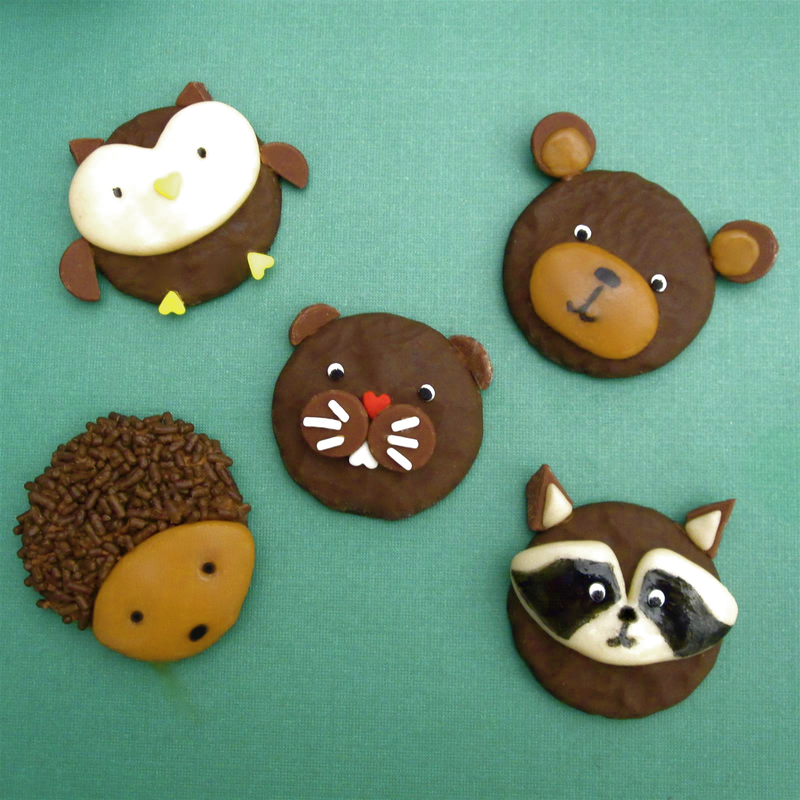 It is a really fun and simple, no-bake project that would be great for a woodland themed birthday party, or a fun Christmas time edible scene. Each piece is made out of simple ingredients, such as chocolate covered cookies, caramel chews and vanilla tootsie rolls. So get creative and have fun creating a whole forrest full of sweet little critter cookies! 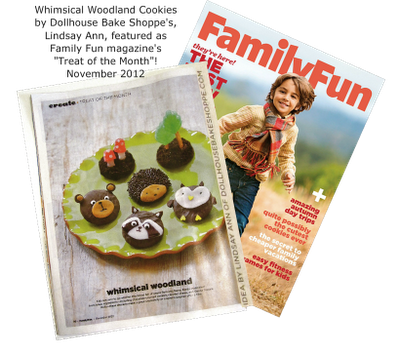 Check out my "Whimsical Woodland Cookies" idea in the November 2012 issue of Family Fun Magazine! You can find my cookies, recreated by Family Fun's real live test family, on page 30 as the featured "Treat of the Month" or online at Parents.com. Always so exciting to see my name published along side my ideas! 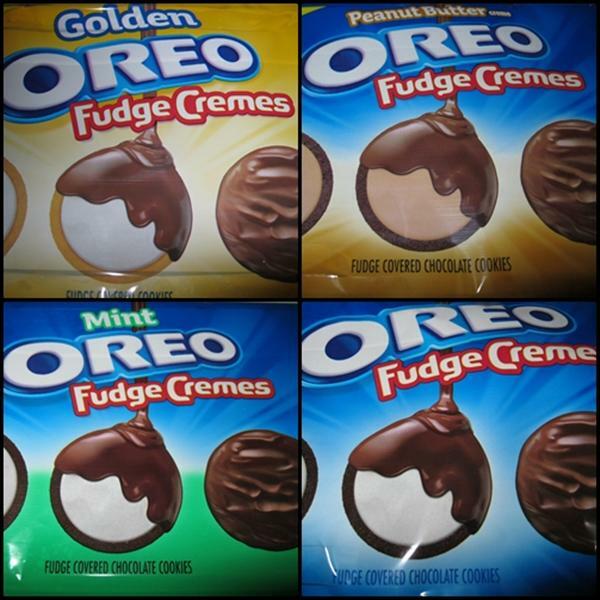 For the base of each animal I used Oreo Fudge Cremes. They come in a few flavors, but any chocolate coated cookie will work (this also eliminates having to dip cookies in melted chocolate since they are pre-dipped!). I tried to keep the ingredient list to a minimum and not use too many different types of candy to keep things simple. Specific candy used for each animal can be found below in the directions of the individual animals. 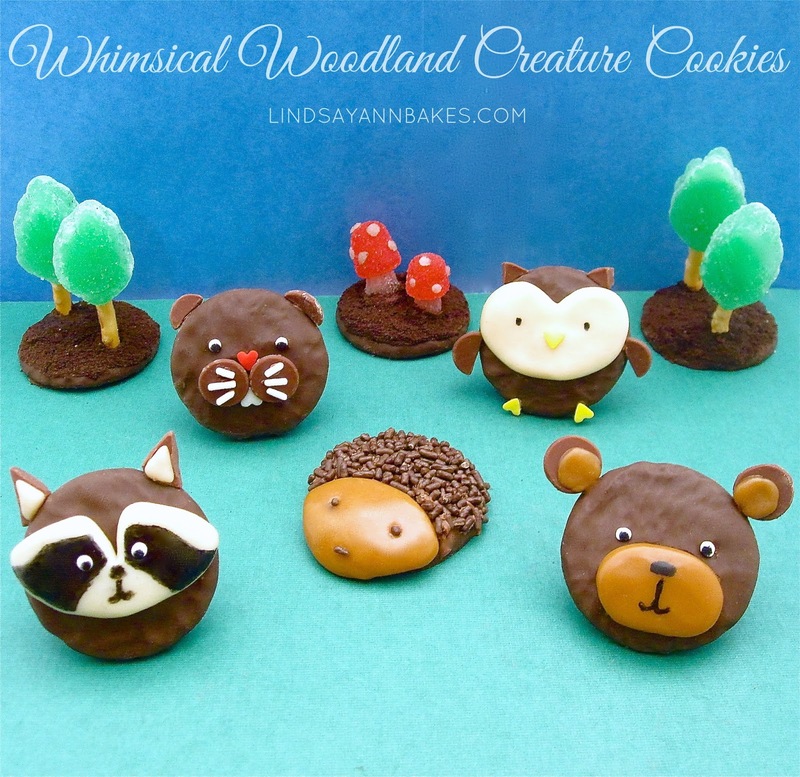 I propped up the animals in the "woodland scene" photo above, by simply putting a gumdrop behind each cookie so they would stand more upright for a cute forest scene. Create a muzzle from caramel candy by making a ball and flattening it with your plam, press on to bottom of cookie, attaching with melted chocolate if needed. Make 2 tiny balls of caramel chew and flatten onto the flat bottom of 2 chocolate chips for the ears, attach to the top of the cookie with melted chocolate. Attach 2 white confetti sprinkles just above the muzzle with melted chocolate for the eyes. Use an edible marker to draw on pupils. Draw a nose and mouth onto the muzzle. Create a heart from a vanilla tootsie roll. Flatten it so the sides are the width of the cookie and round the bottom point. Draw 2 dots for the eyes with the edible marker and attach a yellow heart confetti sprinkle with melted chocolate for the beak. Press on to the center of the cookie using melted chocolate if necessary. Attach 2 upside down yellow heart confetti sprinkles to the bottom of the cookie for the feet. Cut a chocolate chip in half and attach each half, cut side touching cookie, to opposite sides of the cookie with melted chocolate for the wings, making sure the flat side is facing forward. Cut another chocolate chip into 4 quarters and attach 2 of the pieces to the top of the cookie for the ears, points facing up and flat side facing forward. Discard remaining pieces of chocolate. Cut a chocolate chip in half and attach the cut sides to the top of the cookie, flat side facing forward, for the ears. Attach 2 chocolate chips, flat side facing forward, next to each other in the center of the cookie for the cheeks. Attach a red heart sprinkle for the nose and an upside down white heart sprinkle for the teeth. Attach 2 white confetti sprinkles for the eyes and draw on pupils with edible marker. Attach 3 white jimmies to each cheek for the whiskers. Cut 2 triangles out of chocolate chips for the ears. Press a small ball of vanilla tootsie roll onto the flat side of each ear and attach to the top of the cookie with melted chocolate, flat side facing forward. Mold the face shown out of vanilla tootsie roll and press onto the center of the cookie, using melted chocolate to attach if necessary. Draw on face details with black edible ink marker. Add 2 white confetti sprinkles for the eyes and drawn on pupils. Spread melted chocolate to the top of the cookie, leaving a football shape uncovered for the face. Add chocolate jimmies to the melted chocolate to create the body. 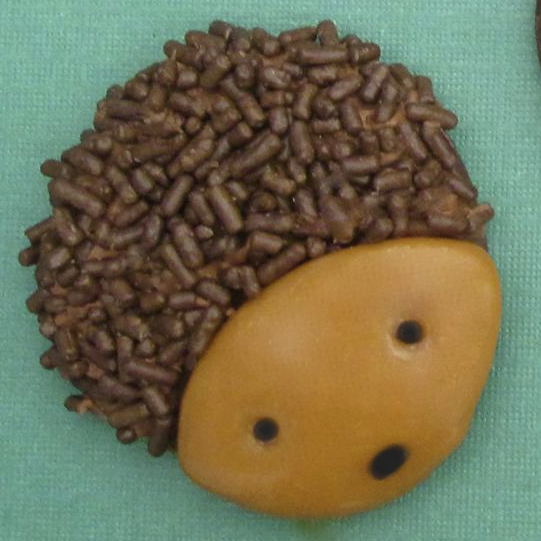 Mold a caramel chew into the football shape that is let uncovered in sprinkles. Attach to cookie with melted chocolate if necessary. Draw on eyes and nose with edible ink marker. Push a pretzel stick into the bottom of a spearmint leaf gummy. Coat top of cookie with melted chocolate, roll in chocolate cookie crumbs. Immediately dip bottom of pretzel tree in more melted chocolate and press into cookie. Cut white gumdrop/spice drop into strip and roll into stem shapes. Cut to shorten to desired height. Press red gumdrop on top, cutting off some of the bottom for smaller mushrooms. Use leftover white gumdrop to roll tiny balls and press on to red gumdrops creating the white spots. Coat top of cookie with melted chocolate, roll in chocolate cookie crumbs. Immediately dip bottom of mushroom in more melted chocolate and press into cookie.